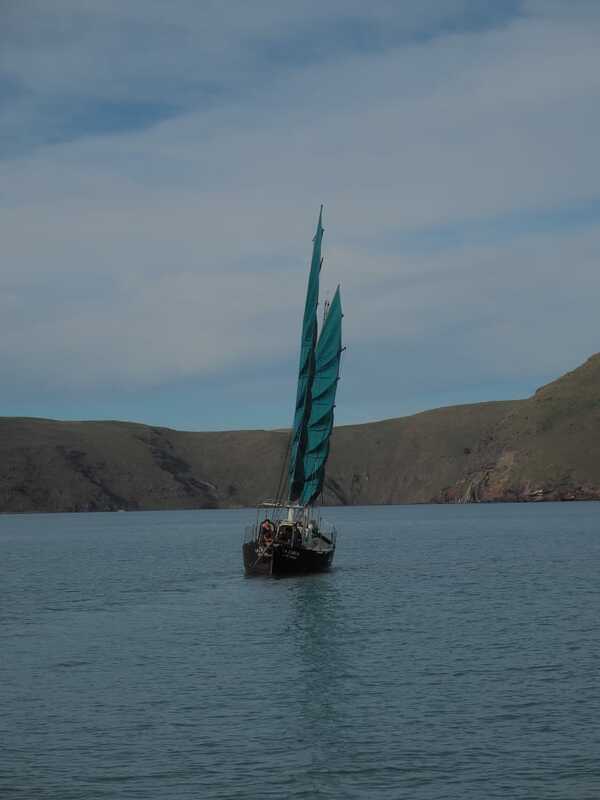 La Chica is a very strongly built 33 ft steel junk schooner. She is very well equipped and ready to go offshore, anywhere, literally. 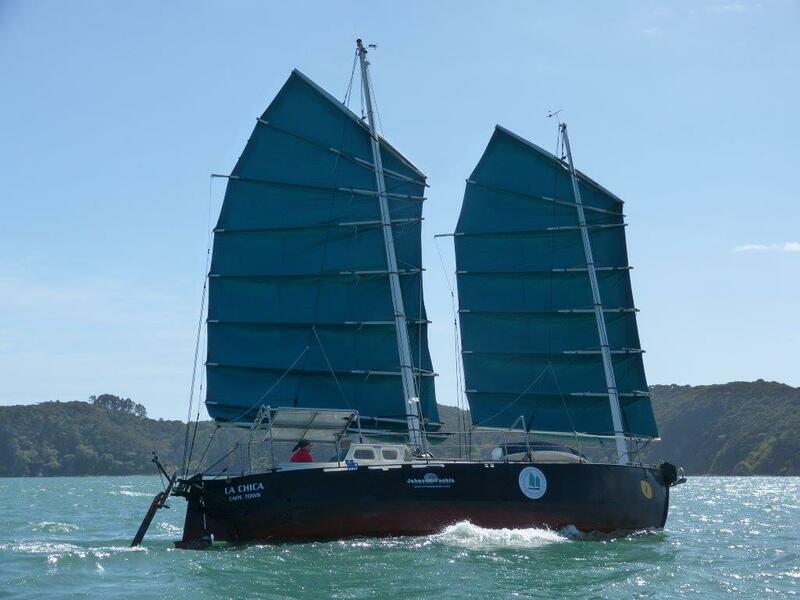 She was built with single-handed sailing in the Southern Ocean as a background idea. 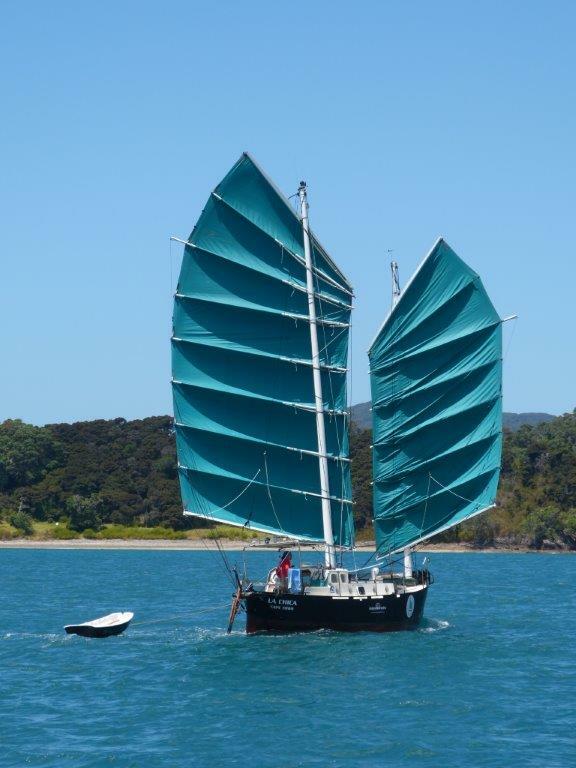 She is a Tahitianna, designed by Weston Farmer and extensively modified over the years by Paul Thompson, the builder and 30 years owner. 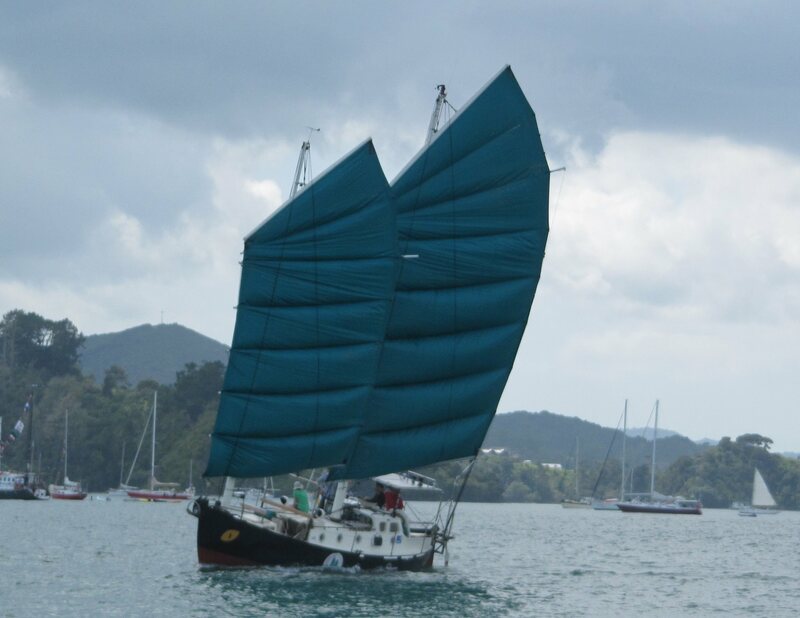 The Tahitianna is a redesign for steelll of the famous Tahiti Ketch, designed in 1932 by American John Hanna of Dunedin Florida. 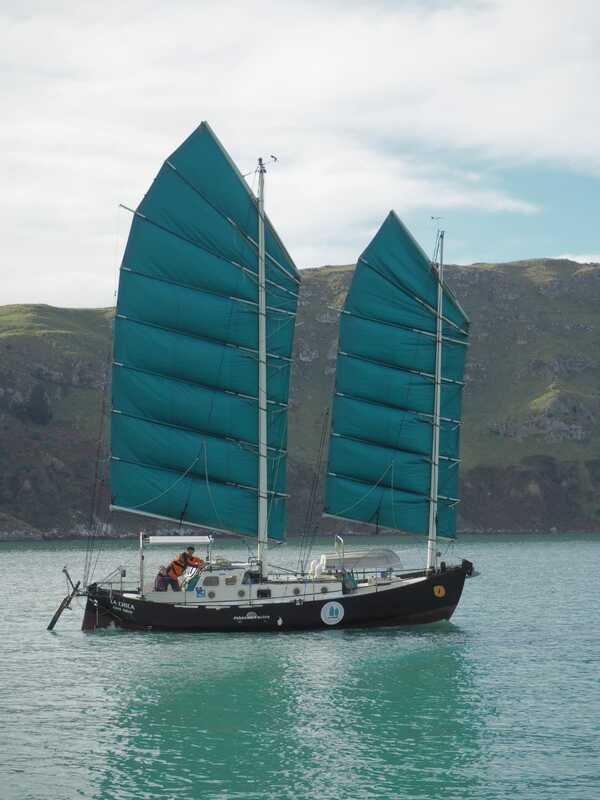 We have lived aboard La Chica with my partner (who is 6'4 tall) for over a year now, and cruised around NZ extensively, with a nice offshore passage from Auckland to Lyttleton in 7 days (over 800 miles), averaging 5.3 knots. With a baby on the way, it is time for us to move back to Europe, close to the family. 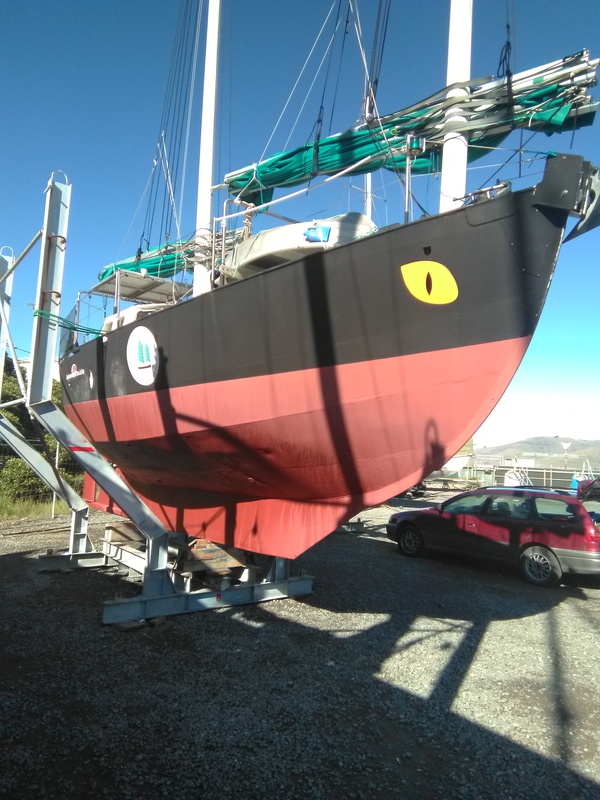 La Chica is now in Nelson and will stay there for the next 2 to 3 months (until mid-May). 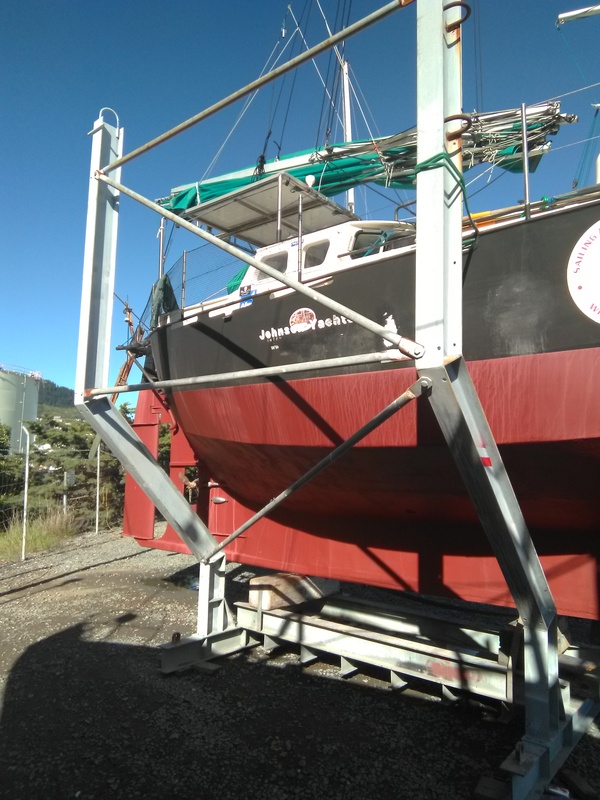 We can deliver anywhere in New Zealand. International delivery to be negotiated (mainly depending on timing). 2 x 140 watt solar panels each coupled to it's own Genasun 10A MPPT controller. I just updated the advert with the specs of La Chica.